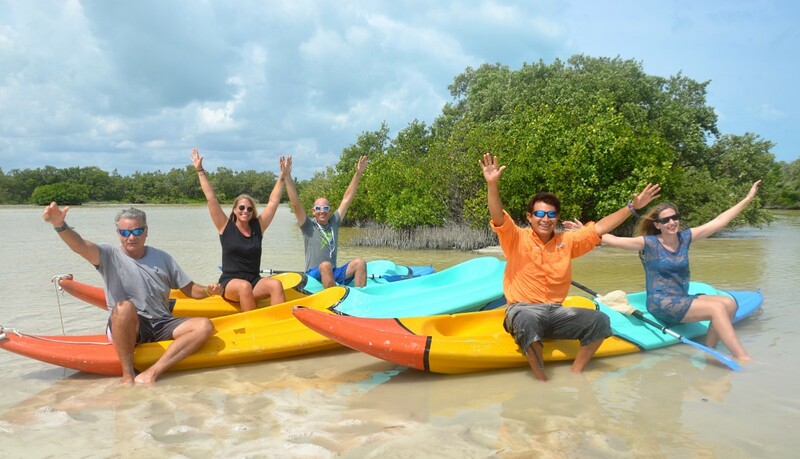 On this tour you will be guided through the winding mangroves where you will get the opportunity to see various birds and spectacular scenery. You are also likely to see crocodiles. MANGROVES: Mangroves are the home for different types of bird species that live on the coast. Sometimes you can see crocodiles basking on the banks of the channels and you will also be able to see flamingos. TRAVEL: On the way to the mangroves you travel by boat and then you travel in kayaks through the mangroves and for the rest of the tour. In the mangroves the water is calm and relaxing and you can hear the songs from the birds. The tour is divided in two parts of 45 minutes each, after half you will stop to rest and have some water before you continue your way back to the pier.